CALAVERAS, Calif. -- The beloved 'tunnel' or 'drive-thru' tree fell to the ground during a massive storm in the Bay Area that left rivers and creeks flooded, houses damaged and several thousand people without power. The iconic part of California history was photographed by Jim Allday Sunday when its formerly massive limbs were seen on the ground. 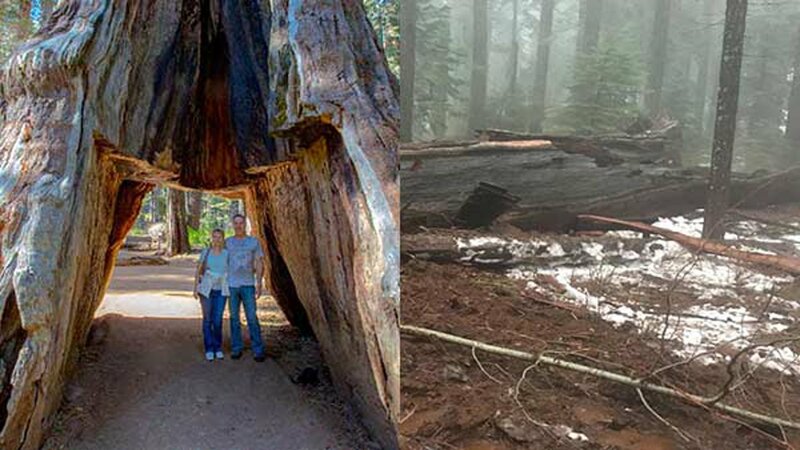 The Calaveras Big Trees Association posted a heartfelt tribute to the giant tree on Facebook: The Pioneer Cabin tree has fallen! This iconic and still living tree - the tunnel tree - enchanted many visitors. The storm was just too much for it.